What does “Retagging Required” mean for my blog posts? 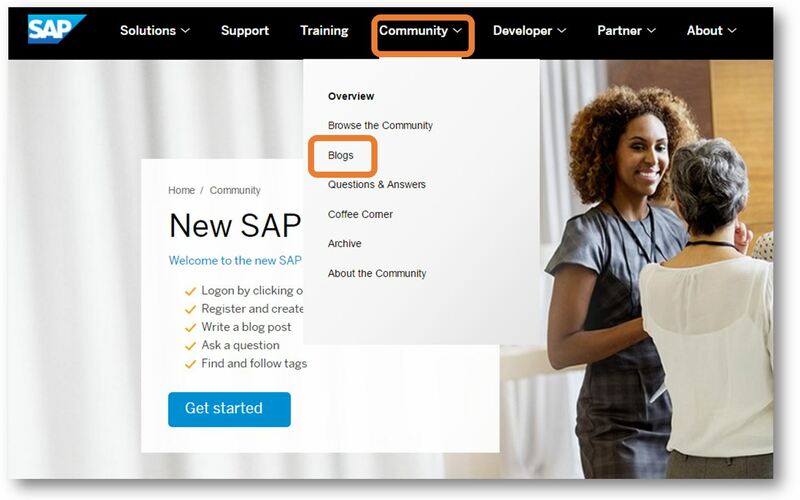 Until your blog post is tagged with an appropriate SAP-managed primary tag, it will not be found on any tag or topic page. It can only be found by visiting your profile or in search by keywords. 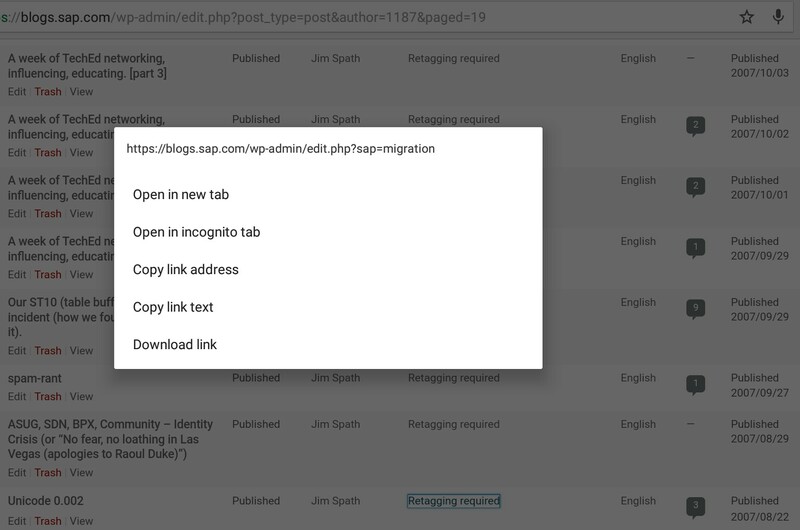 How can i see which of my blog posts requires retagging? How do I retag them? Using the “View My Posts” functionality in the blogging platform, you can easily view which of your posts requires retagging. You can even edit the posts directly from this view. 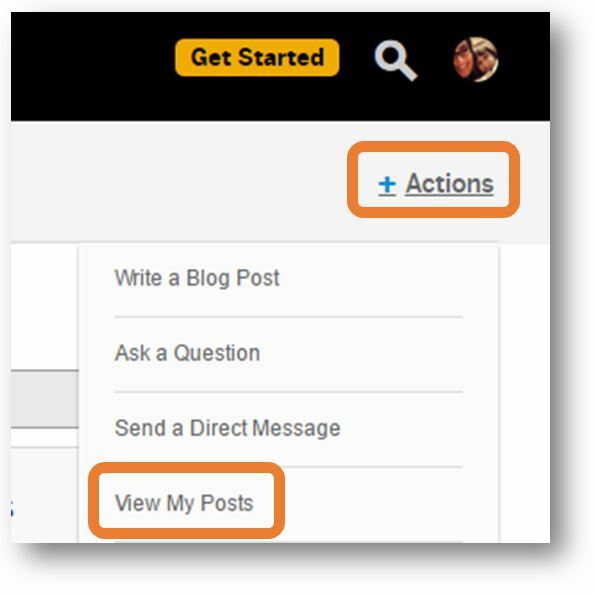 Get started by hovering over the Community menu in the top navigation menu, then clicking the Blogs link. From this view, check the Primary Tag field. It’s easy to see which are labeled with Retagging Required. By hovering over the post title, you can see the submenu, which includes options like Edit, Trash, and View. You can also click the post title to Edit. In the edit view, scroll down to the SAP Tags section. Click the X to remove the Retagging Required tag in the Primary Tag field. Then, begin typing the correct new tag name. 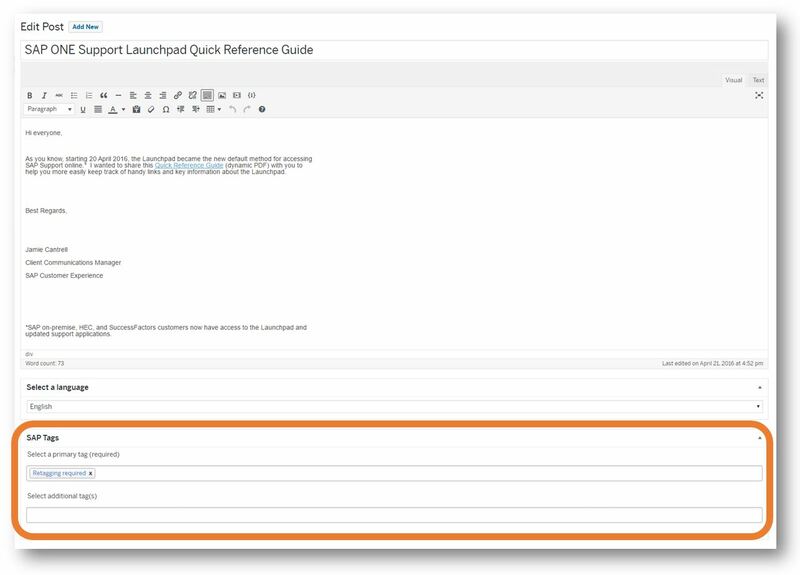 You can also add User Tags to help further clarify the topic of your post. When you’re done, click Update. Repeat this process for all of your Retagging Required posts to ensure other users can find them easily. I see this when clicking, not sure what the hover magic finger permutation is on an android tablet, if any. Veselina is right – it looks like you already have the list of Edit/Trash/View links available minus the “hover over” part. So you are talking about drilling into every single ancient blog and tagging them one-by-one? Isn’t there an easier way to tag several at one time? If not, flipping back and forth to every untagged blog will require much manual effort, given the back arrow on these fltered views takes me back to the first page. I know I’m an outlier, with many posts from the SCN release before Jive, whose space names have been lost to the mists ot time. I don’t know how much of an outlier you are (I had to do a few myself), but it’s certainly an annoying experience. I have a session with our developer on this later this week, so let me find out what we can do and get back to you all on any progress. I would love to see the bulk editor re-implemented, but I’m not sure what technical ramifications that might have, so I can’t promise anything just yet. Jamie’s screenshots are consistent with what I see in Firefox and Pale Moon (latest versions) in Windows 7. She refers to the Edit/Thrash/View links, which are also visible in your screenshot, but somehow you managed to get it to appear on a list of items, not just a single one. During the early stages of Beta, I think, there was an option to edit tags directly from the list of own blogs in All Posts section… looks like this was also removed for some reason or was at least disabled for regular users. I’m aware of the WP’s OOB functionality to edit the post metadata from the list, like you reference, and I’m not sure why it was removed (this was before my time), but I will look into it. thanks or step to step guidance.